Cut your editing time in half with keyboard shortcuts. 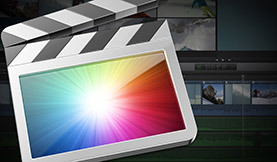 This video tutorial provides a ton of insight for working with shortcuts in Final Cut Pro X. Learn how to make an animated tilt-shift effect in this Final Cut Pro X video tutorial. Learn how to create video files that play like DVD’s in this FCPX video tutorial. In this video tutorial by MacBreak Studio, Steve and Mark show us how to work with proxies in FCPX. Working with music in FCPX? In this exclusive Final Cut Pro X video tutorial we share a trick for quickly replacing temp tracks with final versions. In this video tutorial by MacBreak Studio, Steve and Mark show us how to create selective color masks in FCPX. 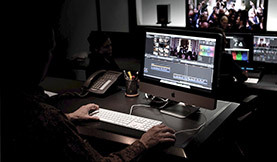 Make the most of FCPX in a collaborative workflow with these useful guides to shared editing.